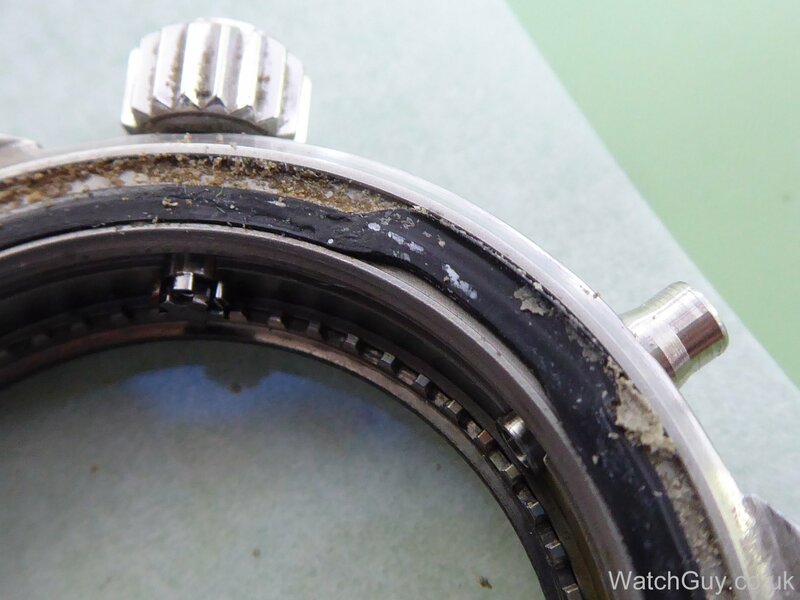 We often get water damaged watches sent into the workshop, and usually, it’s game over. 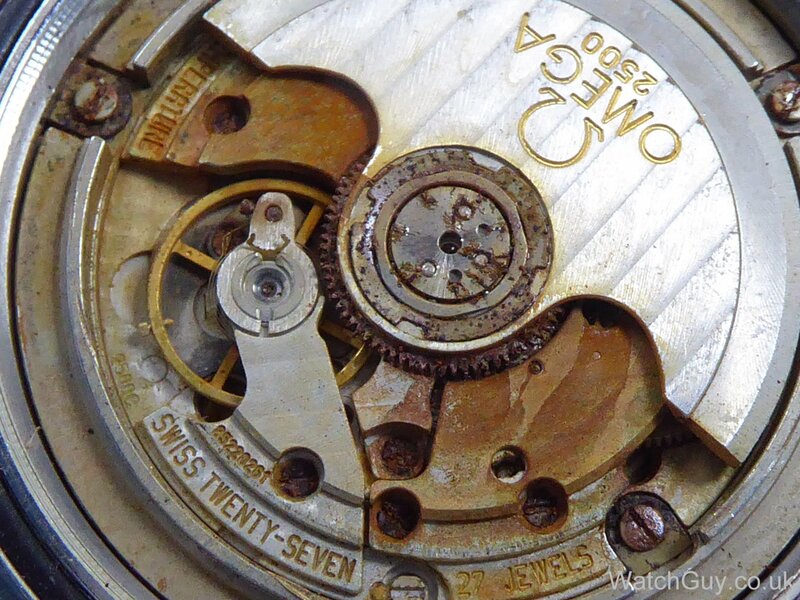 This watch saw water ingress a long time ago, and it was left out “to dry”, or, more like it, left out to rust in peace. If you don’t act quickly, it’s the end of your watch. A week will do nicely, and you have thrown away thousands or at least hundreds of pounds. 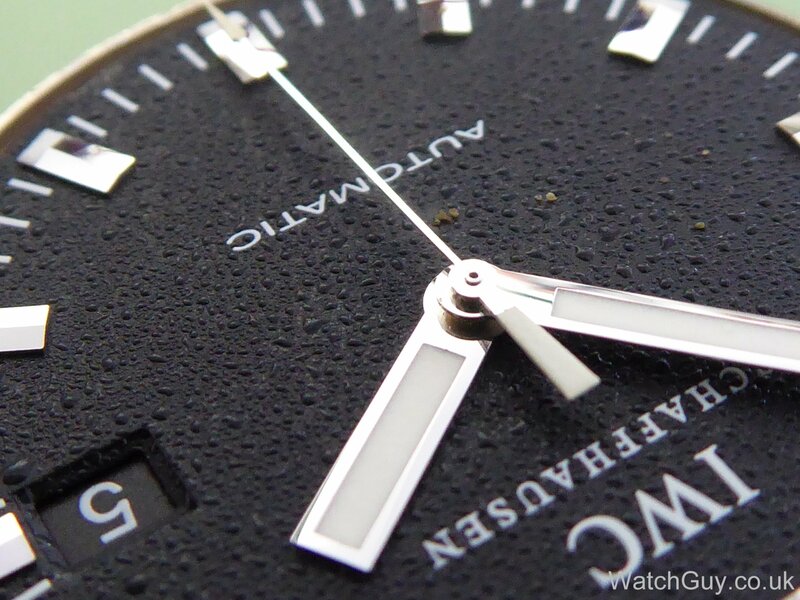 Our client Dave was more clued up, and he wrote us on the day his watch took in water. Even though it was Friday after working hours, I replied immediately and gave shipping instructions, as time is of the essence here. The watch arrived with Royal Mail special delivery on Monday, and I opened it up straight away. Losts and lots of water, but as the ingress was less than 2 days ago, this is no problem at all. The reason for the watch taking on water is here. 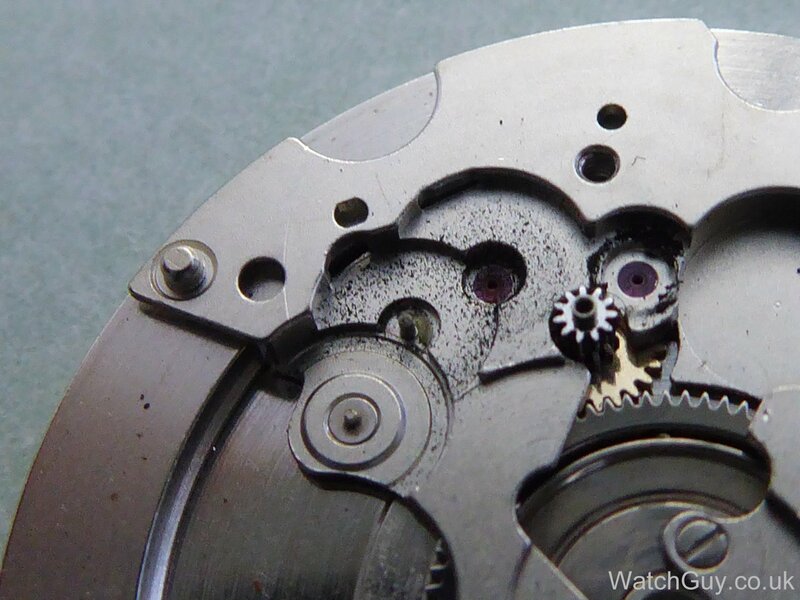 Whoever opened the watch last, didn’t fit the case back gasket properly. This can of course happen, but if you test properly, the leakage would have been picked up. 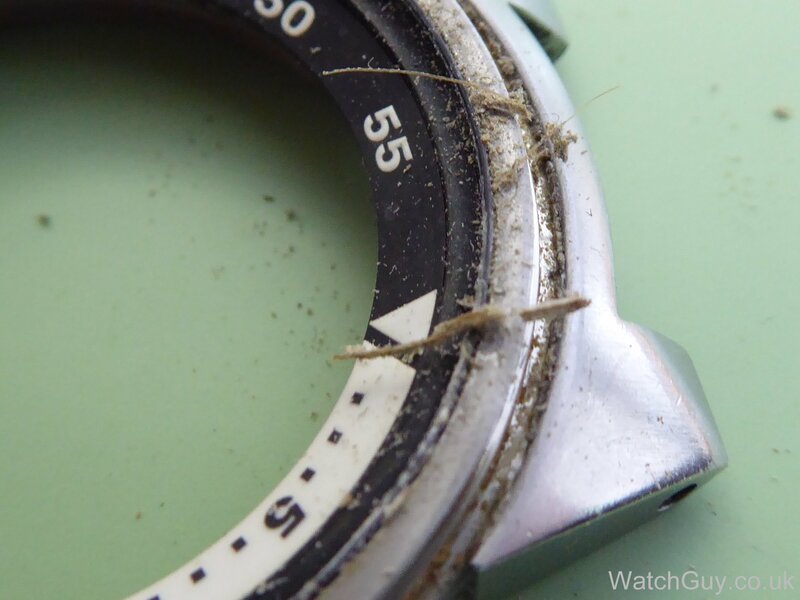 There is a lot of dirt everywhere, and it doesn’t look like the watch has had an easy life so far. Even without the water, it was high time for a service. Having taken the case apart, I clean everything, and press the crystal back into position. 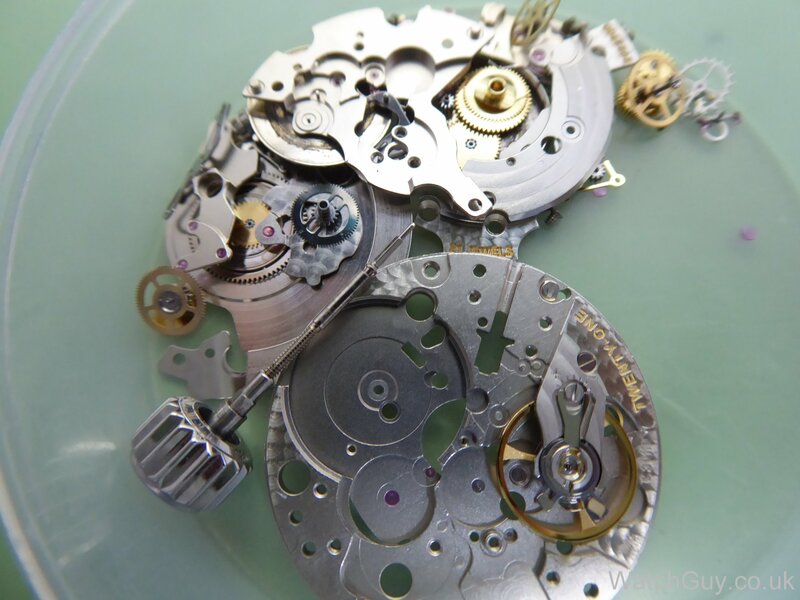 The movement cleans up nicely, and is now serviced and dry, and back in the case, together with a new case back gasket. The watch is waterproof, and we are back in business! I’m posting this in the hope of saving some watches. If your watch takes on water, it’s no problem if you act fast. Get it to a watchmaker, and let him work on it straight away. No damage done, no extra cost, no problem. Wait a week, and you have a wreck. If your watch already drowned and you can clearly see water under the watch glass, just put it in a waterproof box filled with water and immediately look for help at your local watchmaker´s workshop. 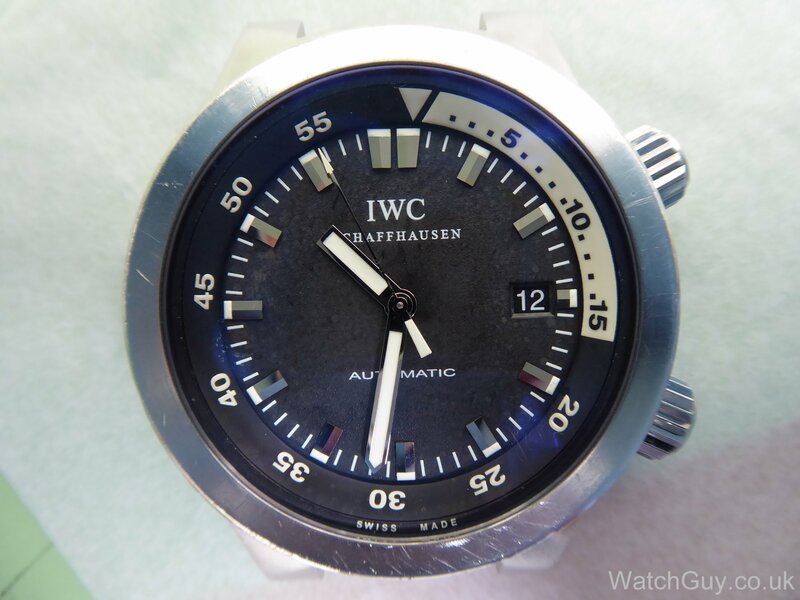 Because there is only little oxidation in the water (far better than leaving your watch to `rust in peace´) it is better to put your already drowned watch inside a box filled with water rather than under the influence of air (oxygen). water + air = oxidize quickly (rust). water + water = very slow oxidation. Is there any solution you could dip a partly rusted part (only the pinion, for example) and get away with? For example Bergeon 30496. Does it work? Will the rest of the part remain nice and shiny or will it be also be affected by the substance? Very strong black tea works very well. Stops the rust, and doesn’t affect anything else. I love reading every post! Amazing work and I am so pleased with the work you did for me on my grandfathers old watch (not this post or any post for that matter). 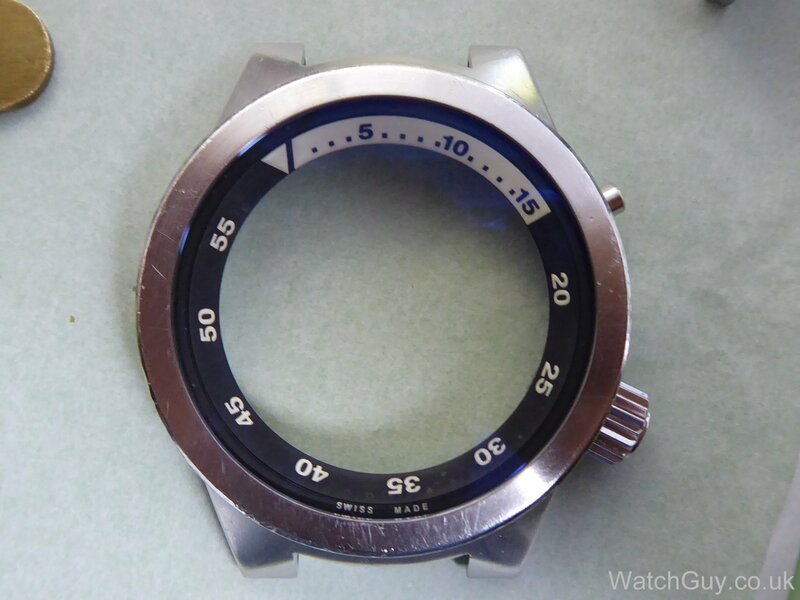 This is the best watch blog I have found. I like your phrase “time is of the essence”. So timely. Difficult to find suitable staff these days. 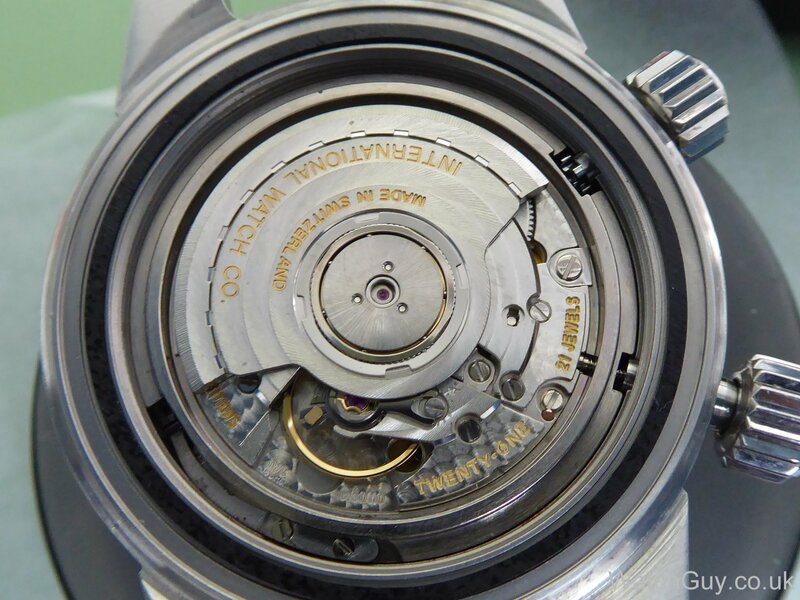 What people will pay to have IWC written on the rotor! Ignorance or swank?